Dappled willow is the common name for Salix integra "Hakuro Nishiki," one of the easiest shrubs to trim. You can do just about anything to the plant and it will still grow, thrive and enhance your landscape. In fact, the more the dappled willow is trimmed, the more colorful it gets. The new growth will have the decorative, pink-tinged foliage for which the plant is known. The dappled willow grows vigorously in most locations. In optimum conditions with no pruning, in just a few years it can easily top 10 to 12 feet tall and wide, with long, weeping branches. Pruning your dappled willow keeps the foliage bright and colorful. Plan your approach. View the plant from 10 to 20 feet away and from different angles, trying to visualize the desired shape and size. You can keep it small (3 to 5 feet tall), large (8 to 10 feet) or anything in between, depending on your landscape needs. If other plants will be in front of it, the willow should be taller. If there are taller plants to the rear, keep the willow on the small side. If you have the space for it, the dappled willow can be a dramatic focal point when it is large. Try to maintain its natural, slightly rounded, upright shape. In time, the new growth will weep gracefully in its natural form. Remove any branches that are dead, damaged or crossing other branches. Follow the offending branch back all the way to where it originates. Cut at an angle close to the connected branch (about 1/8 of an inch). You might need loppers for thicker branches closer to the base. Remove some stems completely from the inside of the plant to open up the plant and allow good air circulation. This is only necessary if the plant is very dense and thick. Cut these stems all the way to the base of the plant. Cut the remaining stems to match your plan. Use the cutting blade at a 45-degree angle to the stem so that water will shed away from the stem. Keep the upper branches a little shorter than the lower ones to maintain the desired shape. Evaluate your work as you go along. Throughout the process, step back to view the plant from different angles to make sure it is balanced and matches the desired size and shape. Even if the plant ends up smaller than you intended, it will quickly catch up. Rejuvenate your overgrown dappled willow every few years by cutting down every branch to a foot or two above the ground in late winter and removing a third of the branches completely. 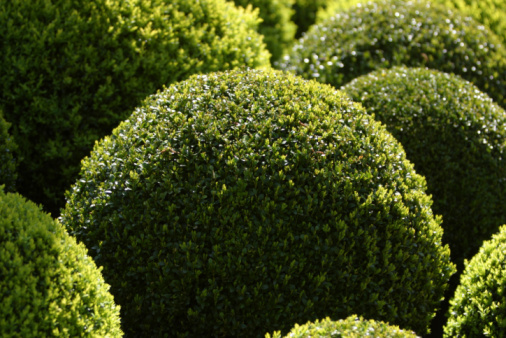 This will create a balanced, full shrub and keep the size manageable. Wendy Lee has been writing in the gardening community since 1998, while growing and nurturing her vast plant collection at her home in Massachusetts. 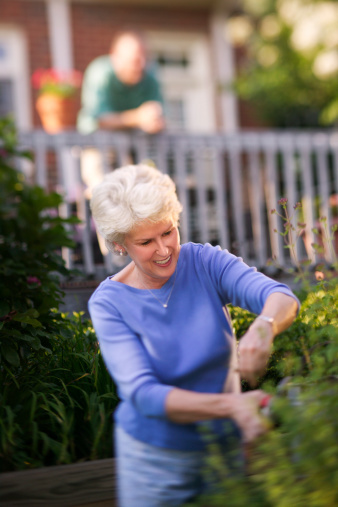 Lee studied horticulture at the New England School of Gardening and has been gardening professionally since 2009.